Below is a list of vocabulary you may find useful when getting from place to place, particularly by public transportation or taxi. In theory this is a little bit impolite, but it is definitely more common, especially when not talking directly to the driver himself. Also, it could in theory be “버스 아주머니” but the overwhelming majority of bus drivers (at least in Seoul) are male. 거기에 가려면 어느 쪽으로 가야 돼요? = In order to get there, which way should I/one go? 서울역에 가려면 어느 쪽으로 가야 돼요? = In order to get to Seoul station, which way should I/one go? 거기에 어떻게 가는 지 알아요? = Do you know how to get there? 교통카드를 어디서 살 수 있어요? = Where can you buy a bus/subway card? 교통 카드를 어디서 충전할 수 있어요? = Where can I charge my transportation card? 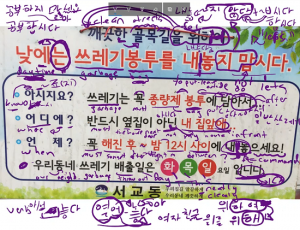 교통 카드를 잃어버렸어요 = I lost my transportation card? 빨리 타세요 = Get on, quick! 막차가 몇 시에 출발해요? = What time does the last train depart? 첫차가 몇 시에 출발해요? = What time does the first train depart? 버스 온다! = The bus is coming! 이 버스는 강남에 가요? = Does this bus go to Gangnam? 아저씨! 문을 열어 주세요! = Sir! Open the door please. 거기 가려면 몇 번 버스를 타야 돼요? = In order to get there, what bus should I take? 어디서 환승해 야 돼요? = Where do I need to transfer? 어디서 갈아타 야 돼요? = Where do I need to transfer? 홍대에 가려면 몇 호선을 타야 돼요? = In order to get to 홍대, which line should I take? 당고개에 가는 열차가 들어오고 있습니다. 한 걸음을 물러서주시기 바랍니다 = The train going to Danggogae is coming into the station. Please step back. 이번 역은 서울역. 서울역입니다. 내리실 문은 오른 쪽입니다 = This station is Seoul Station. Seoul Station. The doors will open on the right. 서울역까지 가는 데 보통 얼마나 나와요? = How much will does it usually cost to get to Seoul Station? 공항까지 가시나요? = Do you go (can you go) to the airport? This literally translates to “seat-bus” as it typically has more seats (two on each side) than other city buses. This type of bus will go longer distances – usually connecting Seoul with one of its suburbs. This bus is usually smaller and is cheaper to ride than other buses. It usually goes shorter distances, and the stops on the road are often ambiguous. You really need to know the area and the bus route if you want to take this type of bus. This type of bus also usually runs an inter-city route, but the seats are more comfortable. A “limousine” in Korea refers to a comfortable bus that shuttles people from one place to another. You will commonly see this type of bus taking people from the airport to some pre-designated place in Seoul. As soon as you walk out of the airport in Incheon, you will see dozens of these buses – all going to a destination with maybe a few stops along the way. This is a regular subway train, but it skips stations along the way. It usually will run in peak times during rush hour. That’s it for this lesson. 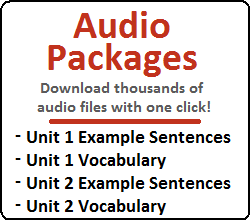 Click here to check out our next Theme Lesson. Have something you want to include? 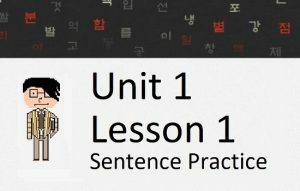 Want to know how to say a sentence in Korean? 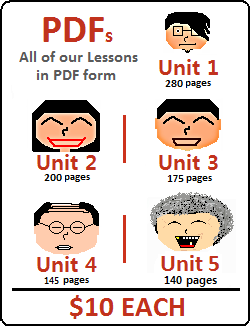 Post in the thread designated to this specific lesson in our Forum, and we will add it to this lesson.